Subscribe to comments with RSS or TrackBack to 'Mashup on iPad'. OH, how I wish I can buy my own IPAD too, but it’s a little expensive and I can’t afford it. But I heard a lot of good reviews about it. ok i’ll bite. which one? @3dmap: Sorry, must have skipped this, but it’s by the Stanford duo. 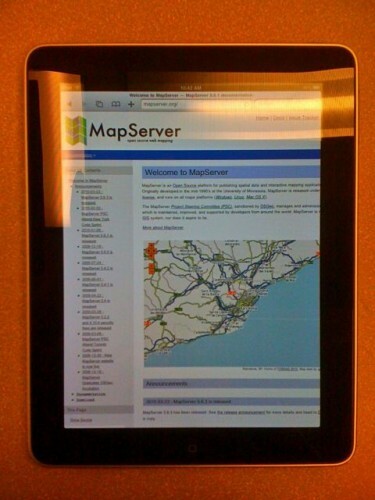 Mapserver on the ipad … goody goody!! Why use a webkit based mapping mashup, when you could use apps that take advantage of the iPads excellent developer API and ibuilt api, ie TomTom official app on the appstore?